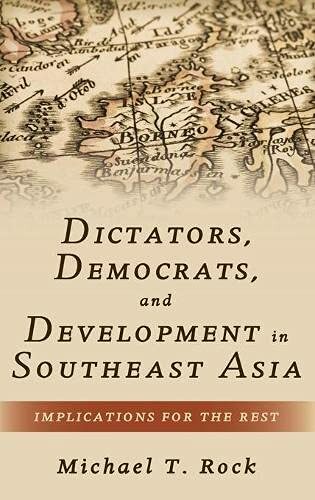 [PDF] Dictators, Democrats, and Development in Southeast Asia: Implications for the Rest | Free eBooks Download - EBOOKEE! Description: Getting growth going has been rare in the developing world-since 1960 only nine developing countries have succeeded in sustaining high growth. The aim of Dictators, Democrats and Development in Southeast Asia is to examine how dictators and democrats in three of the nine fast growers -Indonesia, Malaysia and Thailand, hereafter IMT-built and sustained pro-growth political coalitions that enabled them to adopt policies that ushered in sustained high growth. The focus is on IMT because circa 1960 few thought the three were candidates for high growth and because the three have factor endowments, ethnic heterogeneity, and forms of governance that resemble the Rest. These similarities suggest the Rest may have much to learn from IMT. The focus is unabashedly on the politics of development in IMT because dictators and democrats in IMT built and sustained pro-growth political coalitions that enabled them to link their long term political survival with delivering development. How and why they did so should be of keen interest to the Rest. Because dictators and democrats in IMT were committed to capitalist, industrial and open economy development strategies but deeply suspicious of a laissez faire approach to development, none of the three ever adopted a Washington Consensus style growth strategy. While all three toyed with a Northeast style capitalist developmental state approach to growth, because governments in IMT lacked the political requisites to make this strategy work, none really stuck to this approach to growth either. Instead dictators and democrats in IMT implemented highly pragmatic growth and development strategies. When markets worked, governments used them. When interventions worked governments relied on them. When either failed to deliver expected results, governments weeded out bad investments to sustain high growth. Such a pragmatic, trial and error approach to development should also be of keen interest to the Rest. No comments for "[PDF] Dictators, Democrats, and Development in Southeast Asia: Implications for the Rest".